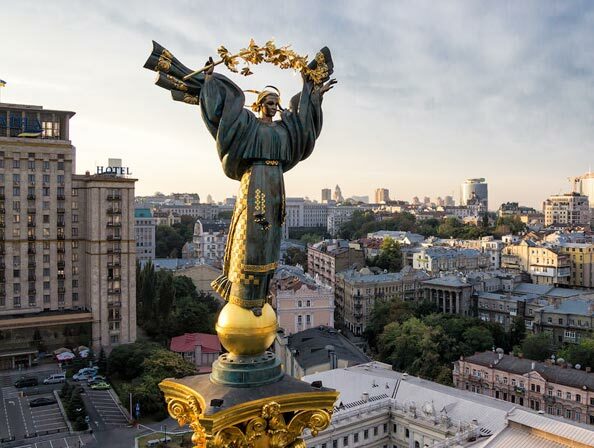 Learn more about the history of Kiev and why it remains as one of the most beautiful cities to date. Kiev is the capital capital city of Ukraine. The history of Kiev plays an important role in Ukraine’s past, present, and future. Even though it is known today as one of the most beautiful cities in the world, its history is filled with internal and external struggles. The city of Kiev was the center of a powerful Eastern Slavic states whose territory spread from the West. It was a shield that protected the region from nomad invasions. After years of continuous invasions; in and out of the state--some of the country’s territories came under the rule of Moscow and Poland. Sadly, the country was not able to escape even the horrors of the Nazi’s during World War II. Many of the city’s historical masterpieces were destroyed by the Germans along with hundreds of churches and cathedrals during the 1920s and 1930s. Despite all this, the city has restored itself and has since become a well-developed economic and cultural metropolis. Through the rough events in the city’s history, taken as a center stage of battle and chaos, Kiev and its people have built themselves up from the ashes of its former glory and became anew. The capital city of Ukraine holds many historical masterpieces. Visit the city through us! Kiev, otherwise spelled as Kyiv in Ukrainian language, has a long and rich history despite the turbulent events that occurred long before, even reaching as far back to the 5th century. 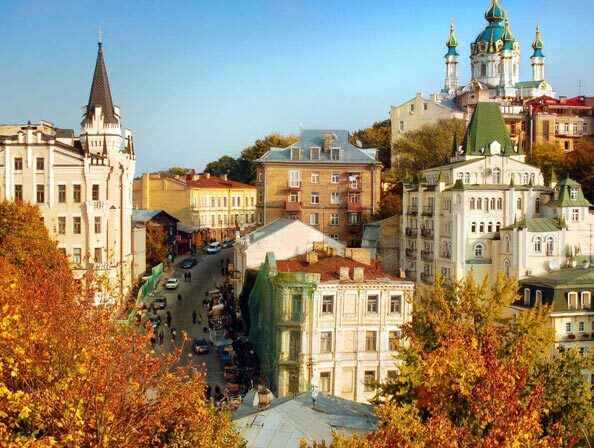 This being said, Kiev is one of the oldest and historically-rich cities in Eastern Europe. It is said that Kiev was founded by three legendary Slavic brothers. Later on during 988, Prince Vladimir the Great would then introduce Christianity to the whole region. Years later in 1240, the city was invaded and destroyed by Mongols. This event has made Kiev an important role of commerce in the next hundred years. Kiev’s religious, linguistic, economic, and cultural institutions were influenced and altered by Russia’s military which later made the city Russified by the end of the 19th century. During Russia’s industrial revolution in the 19th century, the city of Kiev became an important hub for trade and transportation. Kiev was a major export point and held a number of successful merchants and businessmen who helped developed many of the city’s landmarks from theatres to synagogues. Even through the dominance of Russian power, Ukrainian nationalism did not die. The repression ongoing in the country has started movements to spur underground. The horrors of the Germans did not leave Kiev untouched. During the wake of World War ll, Kiev’s many historical monuments were destroyed. Extensive restoration of the post-war period has revived much of the city’s historical and cultural heritage. Despite the repressions, suffering, political turmoil, and ecological disasters; capital city, along with Ukraine as a whole, continues on. It was during August of 1991 where the country proclaimed independence after the collapse of the Soviet Union. This was the start of a whole new period in the history of Ukraine and Kiev. After the many struggles that took place within the borders of Kiev, it has since prospered and developed greatly. From the ruins of the war and from the political turmoil that still exists today, the citizens of the city continue on with their patriotism and pride of their beloved home. Through Kiev singles tours, clients get to experience the beauty of both the city and its women. Today, Kiev now has major administrative functions with a large amount of companies that are responsible for the economic growth. The city has become the country’s important and main industrial center holding a wide range of manufacturers. Despite having factories in all quarters of the city, Kiev also houses green areas including parks and gardens. 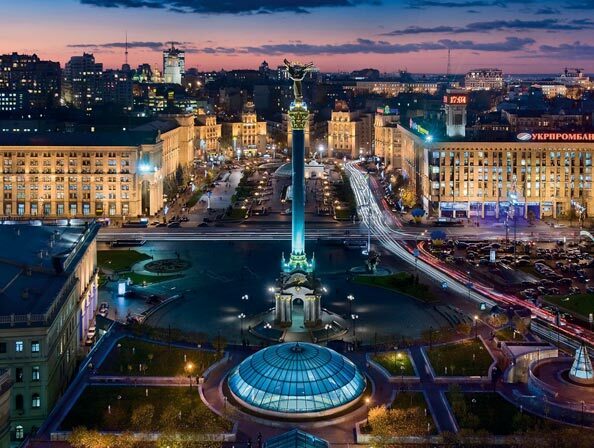 While Kiev’s future has been greatly decided by non-Ukrainians, the city has developed tremendously since then. With its high-tech industry, higher education institutions, and famous landmarks, it is without a doubt that the capital city of Ukraine has become one of Eastern Europe’s most crucial industrial, scientific, and cultural centers today. The city’s Slavic architecture which comprises of both ancient monuments and cathedrals, are what makes Kiev what it is today. These historic sites are representations of of the city’s history and enduring spirit. For a better and convenient experience to the beautiful capital of Ukraine, why not sign up for our Kiev singles tours which we hold multiple times a year. With us, you get the chance to tour around the city while having the chance to meet hundreds of single Kiev women. Registration is free. Communicate with Kiev women today and take the trip of a lifetime to Ukraine’s historically beautiful capital today.